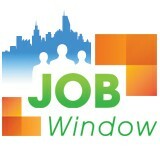 thejobwindow – Connecting You to Opportunities! Your job interview is coming to an end. Everything has gone well so far. You did your research on the company. You answered their questions confidently, you were enthusiastic and you can already see yourself working there. Now they want to know your questions. When they ask if you have any questions they are not just being polite and rounding off the interview, they are gauging how invested you are in the job. They are seeing how well you listened to the questions they asked you and how you integrated them into your perception of the job. Even if all your questions about the company and the position have already been answered, you still don’t say “No,”. It makes you sound uninterested and unmotivated. The correct answer is always, “Yes.” If you do come up with specific questions to ask during the interview that’s great, start with those. But you can’t guarantee that will happen so it’s important to come prepared with questions to ask. There are all sorts of things you can ask, but there are also a few topics to avoid. Those include questions about salary, benefits, perks, and vacation time. Those types of questions send the message that you are more interested in what you’re going to get than what you’re going to give. The appropriate time for those is once you have an offer. If you’d still like a few more options, check out this list of the 30 best questions to ask the interviewer from Balance Careers. You wake up every morning, look in the mirror and say, “I am going to be successful.” Well affirmations are all well and good, but saying you want to be successful without action to back it up, will be about as helpful as saying you want to lose weight while simultaneously stuffing a donut into your mouth. If you are not striving to accomplish something every single day then you’re probably just going to let the day determine what happens. You’ll get caught up with being mad about getting caught in traffic. You’ll get involved with the gossip floating around the office. You’ll let yourself get sucked into watching yet another episode on whatever’s streaming on Netflix. Without goals you are likely to end up going wherever the wind blows. However if you’re working towards a specific goal every single day then you are going to take charge of where you focus your attention and your energies. Once you do achieve a goal, don’t climb up to the nearest rooftop to start crowing about it. Create another goal. And write it down. Keep yourself accountable. You may be able to spend a day alone doing your own thing or even a few days, but eventually you’re going to have to come out of hiding and get into the groove with other people. Even novelists the most I need alone time! group of all, eventually have to come out and interact with their publisher and fans at large. Introverts and extroverts alike can develop people skills. The easiest way to start is to get good at asking people questions and giving them your full attention when they answer. People with strong people skills realize that everyone wants to be heard. Always keep your mind engaged. Whether that means learning new skills for your career, taking cooking classes an evening a week, or language courses online, it’s important to keep yourself challenged. Ideally you want to continually create a new and improved version of you. We all love to make plans for our future and that’s great. Like we said earlier, having clear, specific goals are one of the cornerstones of our success. The problem comes when we start spending more time thinking about our goals or our future than actually doing anything to concrete to start achieving them. The longer you think about something without actually doing anything to back your thoughts up, the harder it is to get going. Procrastination leads to more procrastination. Doing leads to more doing. You need to learn to be your own referee. Push yourself even when you don’t want to get go. Get out of bed no matter how cosy it is under the covers. Get up every time you fall down without wasting inordinate amounts of time lamenting over what wasn’t. Success is going to hear you loud and clear. How many times have you been kept up all night because of something you said or did in a moment? For me, it’s more times than I can remember. However, fast forward a little and whatever it was that tied me into such sleepless knots ends up lost to the sands of time. How often do you feel like you are in the absolutely worst situation of your entire life? Again, for me, too many to keep track of. Without the great balancer of time to put things into perspective it is easy for us to get pulled into the drama of the moment. To hear the Chicken Little running around inside our heads screaming about the falling sky and believe it. There sometimes are truly life changing moments. But in general the drama of the moment only feels significant because it is the moment you are then living. When you have an argument with a friend or associate, or you mess up at work, or you say exactly the wrong thing to a person you are trying to impress it is easy to get trapped in the moment. You refer to it over and over in your head. It gets endlessly rewound and played differently in your head as you lament all the things you didn’t say or do. When you find yourself in an endless loop of regret, take a deep breath. Remind yourself, in the big picture, this mountain is nothing more than a mole hill. In the bigger picture it will become so insignificant as to become invisible. The moment you are in is a microscope that makes everything seem way bigger than it is. When you find your eye glued to the lens, lift your head and remind yourself your life is more than this moment. There are all kinds of reasons to leave a job. A better opportunity comes along. You’re looking for a better opportunity. You’re not happy with the direction the company’s going. You want to take your life in a different direction. The list goes on and on. Eventually you will find yourself explaining the reasons for why you left or why you are leaving your current job to a prospective employer. They will want to know several things about why you left/are leaving. Did you leave to pursue something else? Were you just tired of your job? Did you leave voluntarily? Did you leave on good terms? What are your work values? Remember your prospective employer is looking for someone who’s going be loyal and responsible. Ensure your answer demonstrates integrity and forward thinking. Maybe you feel like you’ve gone as far as you can in your present situation. You are looking for more challenges, or more responsibility. In that case, talk about how you contributed to your current organization (with quantifiable examples) and how you excited you are to learn and grow in this new position. Always make it about moving toward a better opportunity. Keep your answer positive. Sometimes your situation is a little more negative, like your current position is being eliminated or the company is going out of business. It’s still important to stay positive in your answer. Talk about your successes and accomplishments and then briefly say that due to unfortunate economic downturn the company had to downsize. Downsizing is something everyone can relate to, especially if you were not the only person affected. You have re-evaluated your present circumstances and have decided it’s time to change direction. Your life goals or career goals have changed and you are excited to pursue a new direction. Make sure you explain how this new opportunity is a good fit with your goals and how you can successfully use your skills in this new job. You may actually have negative reasons for leaving a job, like problems with management personality or style. You simply don’t like the job or were passed over for promotion too many times. No matter how negative your experience was, focus on what was positive. What you learned, what you contributed and move on to growth opportunities. Some leaders have an inspired, inspiring touch. People are excited to be on their team. They get the most out of all their people because their people want to please. While other people are leaders in name only. With people only grudgingly doing as they ask, mostly out of a sense of obligation rather than any real desire to follow. Strong leaders know that different people respond to different things so they don’t have a one size fits all way of dealing with their people. They treat each person on their team as an individual with unique skills and aptitudes. Some people prefer to be put into a competitive environment, some like working in groups, some prefer personal challenges. Successful leaders play up to the strengths and dispositions of the people on their team. People do their jobs because that’s what they are there to do. That doesn’t mean they don’t feel proud of their accomplishments, or that they wouldn’t appreciate acknowledgement for their efforts. Expressed gratitude goes a long way toward making people feel appreciated. When a person feels appreciated they will put in even more effort – because it makes them feel good! Appreciating someone’s efforts creates a feedback loop of great work. If on the other hand someone isn’t doing a great job it’s important to express that too. Great leaders stay on top of the progress of everyone on their team. We all know a chain is only as strong as its weakest link. By catching problems early on and remedying issues before they turn into big issues, great leaders create a strong chain of command. As a leader you might have some pretty big goals. Big goals can take a long time to accomplish and over the long haul people may lose energy and enthusiasm. The key to keeping people motivated is setting smaller achievable goals along the way. Give people the opportunity to make a goal and to excel. Give them a reason to celebrate a job well done! If you want people to come in early or work extra hours or take on challenging new projects, try things they’ve never tried before, the best way to inspire them is to set the example yourself. Let them see you striving. Let them see you fail. A great leader doesn’t have to be perfect at everything they do. They need to inspire people to do their best. The best way to do that is by being the example they want others to emulate. Everyone is always encouraging us to have a life of dreams and aspirations. True, it is great to have a dream and say – this is what I am going to pursue with my heart and mind. But that is only the beginning of the story. Same as happily ever after is really the beginning of another story. We rarely get to see what happens after that. Sure there’s love but there are also arguments and misunderstandings. There are all the times we ask ourselves why we ever thought this pairing was a good idea in the first place. What people don’t talk about when they tell us to follow our dreams is just how hard that follow through is. Today, we are here to remind you that chasing after a dream is hard work. It can be painful and it can be heartbreaking and sometimes it can feel like the hardest thing in the world. And we are also here to say, DREAM. Despite the pain and the heartbreak and the days, weeks, months, sometimes years when it might not feel like it’s worth it, the fact that you are working toward something bigger than simply existing makes it worthwhile. Striving brings life to life. The choices you make in pursuit of your goals expand you as a person. They increase your empathy for others who are also striving (and for those who aren’t). The glimmers of success you will get along the way remind you of how sweet life can be. They buoy you up when you start to fall down. Working toward something, and the possibility of that dream coming true is what makes life interesting. So acknowledge the fact that there will be hard days and sadness. That you will want to quit more times than you care to count. Keep your final goal in mind, but don’t focus on it exclusively. Enjoy the journey. Notice the beautiful moments. Remember that an interesting life, even if it’s sometimes difficult is a well lived life. In years gone by people could expect to pass through a natural progression in their employment careers. They’d start their job, probably somewhere near the bottom rung of the ladder. They’d good at what they did and move up. Eventually they’d develop some expertise in a specific area of that job. They might switch companies, but they’d generally continue moving up in the same field. Finally, they’d retire. Although some people still move through their careers in much the same fashion, in today’s increasingly competitive job market, confining yourself to a single area of expertise might not be the most reliable way to create success. Most likely you will be given choices in your career. Would you like focus on a single thing, become expert and rise through the ranks quickly based on that? Or, would you like to stay where you are, build skills in a variety of things and take a little longer to move up? Although in the short term it might seem like a great idea to specialize and move forward, there’s a chance you will eventually hit a plateau in regards to just how far this will get you. Or worse you might find your specific skill is no longer necessary in the market! Especially in the fast-changing world we find ourselves in now. Instead of being complacent in your job keep tabs on what’s happening in the job market. Expand your skill set as necessary. Learn different things related to your career. Become proficient at a few of them. Stay flexible. Be ready to move into different areas as the job market demands. All those extra skills will do you well, especially later in your career when the competition becomes even more fierce. Your progression might not be linear. It might look more like a mind map, but it will get you where you want to go!